As Centrica names Chris Weston the new managing director of British Gas, Mathew Beech looks at Phil Bentley's legacy and the challenge ahead. 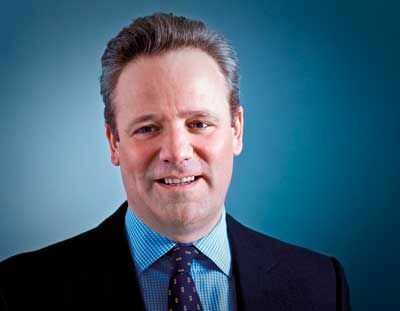 Centrica announced last week that Chris Weston is to take over from Phil Bentley as managing director of British Gas. Weston, who will be heading aback to the UK from the US, is currently chief executive of Centrica’s North American gas retail arm, Direct Energy. Industry insiders say Weston – who joined Centrica 12 years ago after it acquired One Tel, where he was a managing director – will be a “safe pair of hands” who will “manage the business as it is”. They say Weston, who spent seven years in the army with the Royal Artillery, is considered a “British Gas man” who knows the British retail industry well and will have a clear view about how he wants thing to develop. Weston’s appointment is expected to coincide with an increased focus on energy services at Centrica. His experience as British Gas Services’ managing director between 2005 and 2009 is thought to have been an important factor in his selection. Weston will spearhead Centrica’s attempts to drive earnings growth in new markets – such as smart metering and insulation – and in water-related services. Affinity partnerships with UK water companies – such as those it recently signed with Wessex Water, Thames Water and Bristol Water – will give Weston a chance to develop the Dyno plumbing business, and to open up opportunities for cross-selling into energy services and energy retail. Weston replaces Phil Bentley, who has been managing director since 2007 and is widely thought to be the man who “turned the business around”. Bentley is seen by industry watchers as someone who was the “right man at the right time”, during a period of increased scrutiny for the dominant energy suppliers. British Gas had faced allegations of mis-selling, poor customer service and concerns about high profit margins. Regulator Ofgem had imposed fines and reprimanded the company. Today, however, Bentley is thought to have outgrown that role. British Gas is “on a more stable footing” and the outgoing boss is said to harbour ambitions to become a “chief executive in his own right”. Despite the praise from the trade union, people close to Centrica told Utility Week that Bentley had a “dictatorial style” and that British Gas staff were unhappy with his way of working. It is hoped Weston will “bring a softer touch” to the role and boost staff morale. The key challenge for Weston will be a juggling act to reconcile politicians’ and customers’ desire for cheap energy with the company’s aim of driving profits. Chris Weston was appointed to Centrica’s Board in July 2009 when he was appointed chief executive of Direct Energy in North America. He previously headed British Gas Services from June 2005 and, before that, British Gas Business from January 2002. He joined Centrica in November 2001, after it acquired One Tel, where he was the managing director for Europe. Previously, he worked for Cable & Wireless and spent seven years in the army with the Royal Artillery.